← Student Feedback – Go to the Source! Last weekend, I had the good fortune and honor to host professional triathlete Tim Don at my home during his four-day visit to Brasilia to compete in Sunday’s 70.3 Ironman triathlon (Race Highlights). Since I was also training for the race, I was particularly enthusiastic about spending time with a triathlete who won four world titles, represented the United Kingdom at three Olympic games, and is currently ranked as one of the top triathletes in the world. Tim won Sunday’s Brasilia 70.3 Ironman race setting a course record by completing the 1.8 km swim, 90 km bike, and 21 km run course in 3 hours and 46 minutes. Yes, that is very fast! Given that I finished my race 751 positions behind Tim, I thought I would ask him to share the keys to his success. Tim highlighted three essential factors associated with training and racing: consistency, communication, and performance. What was curiously absent from Tim’s response was the focus on results, but more on that later. Based on Tim’s successes and the fact that he has never been sidelined due to overtraining, illness, or injury, I wanted to discover what I could incorporate in not only my own training but also my professional and personal lives. This is what I learned. The maxim, “where there’s smoke, there’s usually fire” is not only apropos to sport but to all facets of our lives. Tim’s approach is to address problems immediately and directly as soon as they are identified, rather than waiting until the same problem has surfaced on multiple occasions. Regular communication with his support team ensures that any potential injuries are identified and corresponding preventive actions are taken. While everyone understands the importance of addressing problems as soon as they are encountered, the transference of this philosophy to practice can prove to be more challenging. The goal to ensure our students are receiving the best education possible is achieved through open, honest, and timely communication, which is dependent on the partnership between parents, students, and the school. This partnership is similar to a three-legged stool; if one of the legs is missing, the stool cannot stand on its own. If an educational program is not standing on its own, then it will be difficult to overcome inevitable conflicts and challenges. A passive aggressive or “head in the sand” approach to a problem will not resolve the issue. It is only through open, honest, and expedient communication that we will effectively work together to support our students. Tim stressed that consistency does not refer to always performing at the highest level each week, but, rather, being faithful to a carefully established plan that is designed to move us forward, in an incremental manner, toward our goal. His words reminded me of a prior blog post about the 20-Mile March and the importance of not wavering from a consistent and iterative approach. When preparing for a marathon, we are not going to start training by running 30 kilometers on the first day. Rather, we will start with a short distance and gradually build up our endurance over time through a consistent adherence to an established plan. The concept is the same for students. Deeper levels of learning are achieved through a regular dedication to study and class attendance, rather than trying to cram for tests during short, intense periods. The former approach will normally result in lasting development and understanding while the outcome of the later is, at best, a fleeting recall of the information associated with the test questions. Transferring this concept to academics, EAB does not narrow the definition of teaching and learning to one where teachers only prepare students for tests (results). Instead, education at EAB is about students developing in a holistic manner where the school supports the whole child to achieve his or her potential (performance). Through effective communication, a consistent approach to learning, and a focus on performance, outstanding results will naturally follow, as exemplified through the impressive successes and achievements of EAB students. 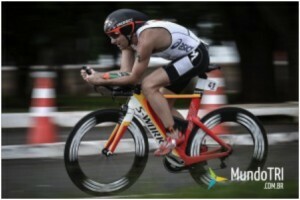 Congratulations to Tim Don for his performance at the Brasilia 70.3 ironman race (Interview / 48 Hours with Tim Don). Profile: I am currently working as the Head of School at the American School of Brasilia and publish a weekly blog at www.barrydequanne.com. This entry was posted in Barry Déquanne and tagged education, international schools, international teaching, teaching abroad, teaching overseas. Bookmark the permalink.